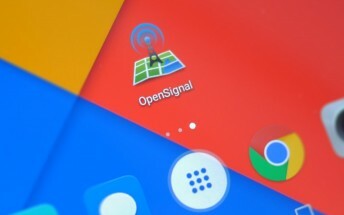 This is the third post of a trilogy, if you aren’t sure of what’s going on with Verizon and Open Signal, let’s briefly recap: On Wednesday, OpenSignal released a report that used raw data from its crowd-sourced speed tests to compare actual performance. The resulting report had Verizon and T-Mobile in a tie. 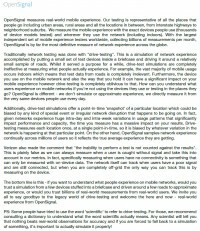 If you want to understand what people experience on mobile networks, would you trust a simulation from a few devices stuffed into a briefcase driven on a few roads to approximate experience, or would you trust billions of real-world measurements from real-world users[?] We invite you all to say goodbye to the legacy world of drive-testing and welcome the here and now – real-world experience from OpenSignal. OpenSignal’s original intention was not to undermine Verizon’s previous scores, but given the statement it tweeted, Verizon didn’t seem to be impressed with the results that OpenSignal released. Can you be mad at OpenSignal for releasing a report that used a different set of data than the reports that Verizon frequently cites? Perhaps, yes, if you are aiming for a national high-score, but regional results may be more important to customers who want a way to see how well the network performed among others in a local area.